Leadership is closely tied to notions of confidence, agency and authority in our culture. Too often, structural inequities restrict the opportunities for people to develop those self-perceptions and exercise leadership, particularly for people who find themselves in need of formal supportive services. Even within the nonprofit sector, issues of power imbalances that are embedded throughout society can be replicated within organizations and provider/client relationships. For instance, due to the lack of representation of voices from communities most likely to receive services, the systems and structures that govern public benefits and services often demand compliance to rules that recipients have not had a role in shaping. Additionally, the professionalization of service delivery -- which has been the subject of long-standing debate in social work theory -- can over-emphasize the power of the "expert" deliverers of services and reduce constituent's voice in advocating for themselves and their communities. In spite of these broader societal barriers and dynamics in the sector, organizations find a wide range of ways to develop clients as leaders, strengthen their self-image, and build their capacity to act on their own behalf. 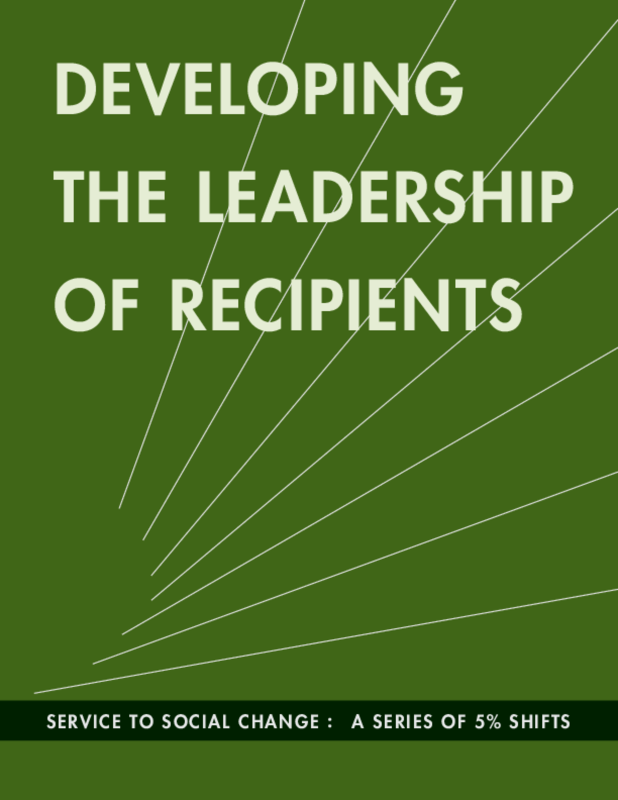 This report includes two case studies of leadership development efforts by nonprofit organizations. Copyright 2013 Building Movement Project.